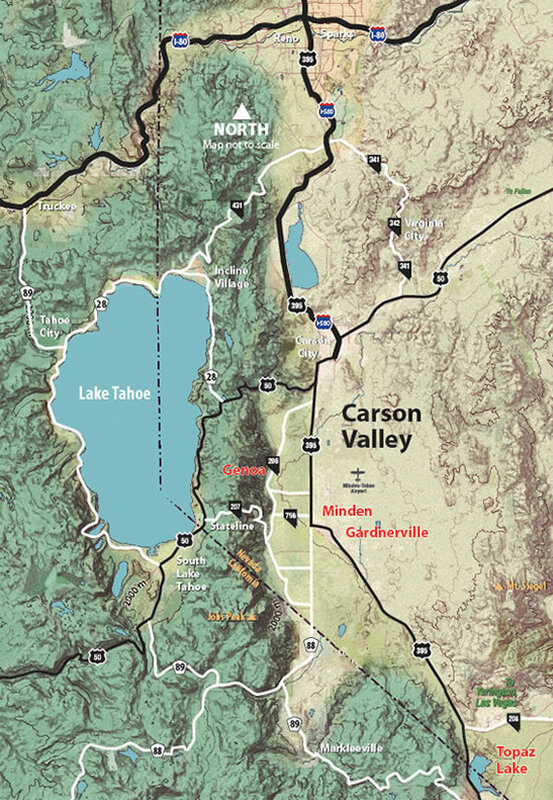 Carson Valley Visitors Authority (also referred to as Visit Carson Valley) is the designated tourism marketing organization for Gardnerville, Genoa, Minden, and Topaz Lake, offering visitor information services, event planning, and organizational support to groups, sports organizations, tour companies, and independent travelers. Can’t find what you are looking for on our site? Give us a call at 800-727-7677, or stop by the visitors center. Regular office hours are typically M-F, 8am-5pm (with the exception of some holidays and events).